Lock in a great price for Lung Wa Hotel – rated 8.2 by recent guests! The room was as expected. It was a small unit, but considering the location, it was good. 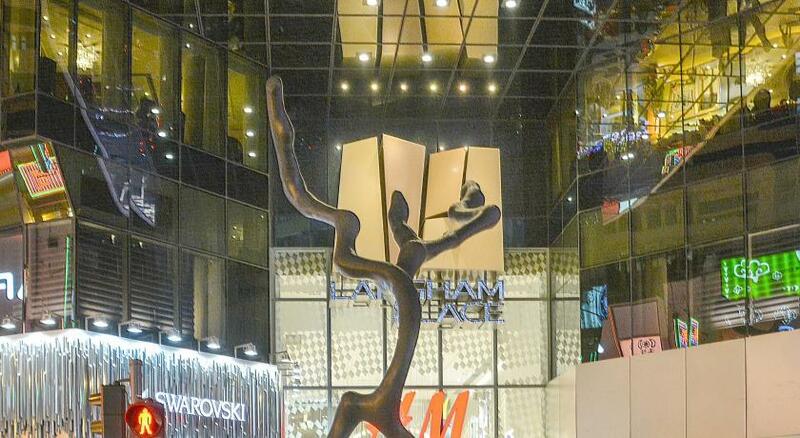 It's located very near the subway and the area is very bustling. Lots of shopping and tons of restaurants. 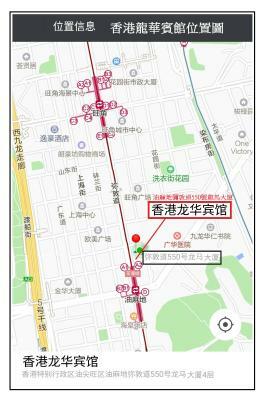 The location of the hotel is just a few steps from the MTR station. It is also very accessible. The bus stop is just in front. It is also near the shopping areas. 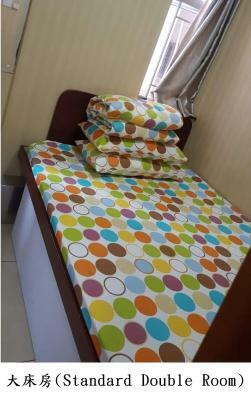 Our room was also clean and everyday, we have new fresh towels. 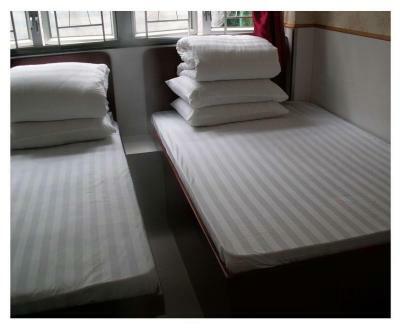 We usually go out early in the morning to go around Hong Kong and when we arrive back to the hotel, our room was already clean. 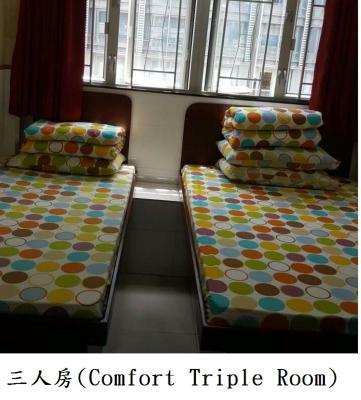 Location very central, half block from MTR. Accomodated our unexpected late check-in. We gentrified our room by calling it a micro-sweet. The water was hot. 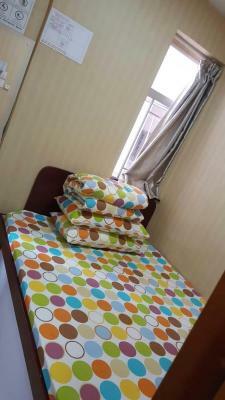 The room was cleaned and new towels and linen everyday. The female clerk was very friendly and accommodating in spite of our language barrier. There were always interesting activities in the lobby on the 4th floor as it was a shared space. It was like walking through a different area every day. 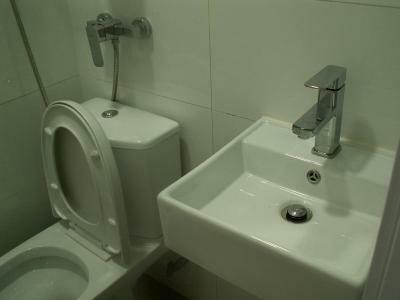 The room has it’s own washroom with an European toilet, which, along with a sink, is all in the shower stall. They provided (used, washed) rubber slip-on shoes for convenience (helped keep your feet dry in the bathroom and clean so you don’t wear your street shoes) There is an amazing coffee shop nearby called J. Co with piping hot coffee and fresh cream-filled, colourful and imaginatively flavoured donuts (eg. green tea infused, matcha, avacado, chocolate, strawberry) as a two eggs breakfast. The WIFI connection is good. Staff are friendly. 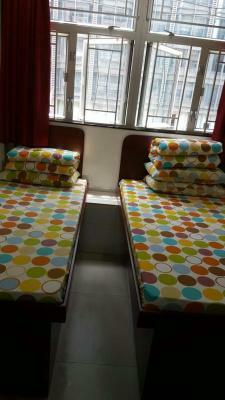 The location is near to MTR station and also Airport shuttle bus station which easy to get the place. 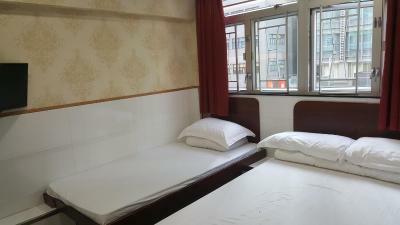 The hotel is within a minutes walk to the MTR, also on Nathan road so lots of shops and restaurants about. Great for an evenings walk. Very clean. The room was cleaned, bedding changed and fresh towels daily. Staff very friendly, but do not speak any English. Strong WiFi. Friendly staff, got everything you need, great location and value of money. definitely a 10/10. 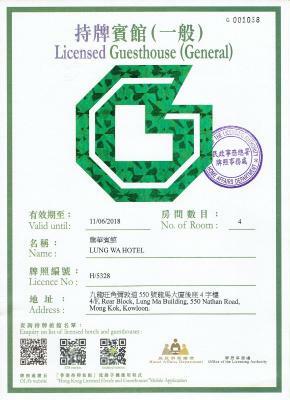 Lung Wa Hotel This rating is a reflection of how the property compares to the industry standard when it comes to price, facilities and services available. It's based on a self-evaluation by the property. Use this rating to help choose your stay! 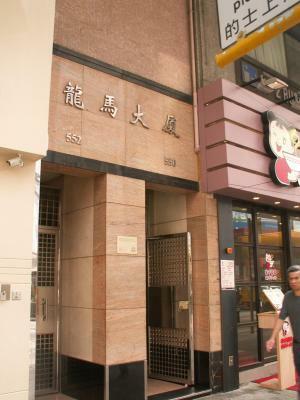 Lung Wa Hotel enjoys a central location in Mongkok, just a minute’s walk from Yau Ma Tei MTR Station Exit A2. 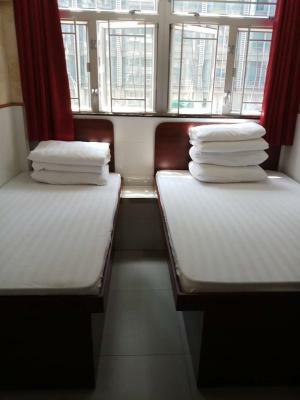 The property offers rooms with free Wi-Fi access. 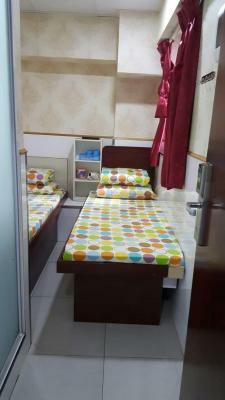 Air-conditioned rooms feature a flat-screen TV with cable channels and pay-per-view channels. Private bathrooms come with a hairdryer. Lung Wa is a 3-minute walk from Temple Street and a 5-minute walk from Jade Market and the Ladies’ Market. The Hong Kong International Airport is an hour away by bus. 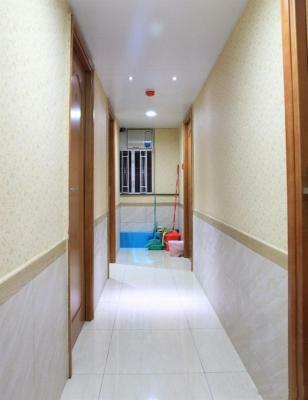 뀐 Located in the top-rated area in Hong Kong, this property has an excellent location score of 9.3! 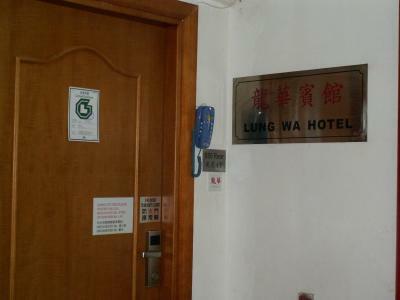 When would you like to stay at Lung Wa Hotel? 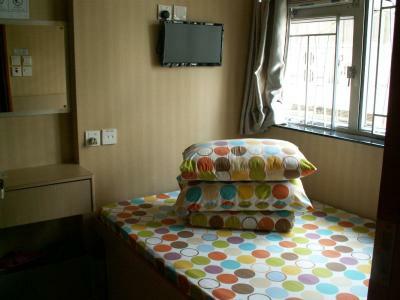 Air-conditioned rooms feature a flat-screen TV with cable channels and pay-per-view channels. Private bathrooms come with a hairdryer. WiFi is accessible at no charge. Please note that some rooms do not have windows. 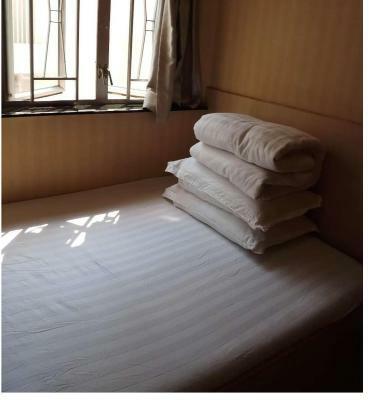 A room with windows is available subject to availability. 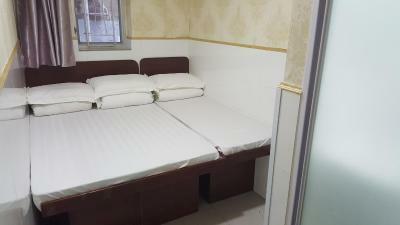 Air-conditioned rooms feature a flat-screen cable TV. Private bathrooms come with a hairdryer. Wi-Fi is accessible at no charge. 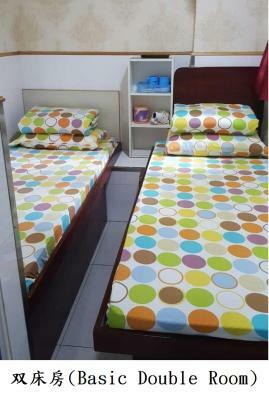 Room size is 9 square yards, can stay up to 3 guests. 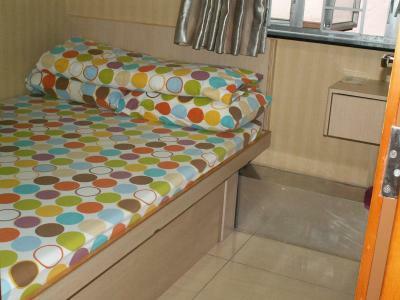 Includes a single bed, a double bed and a private bathroom. Free WiFi access is provided. Area Info – This neighborhood is a great choice for travelers interested in street food, convenient public transportation and local food – Check location Excellent location – show map Guests loved walking around the neighborhood! 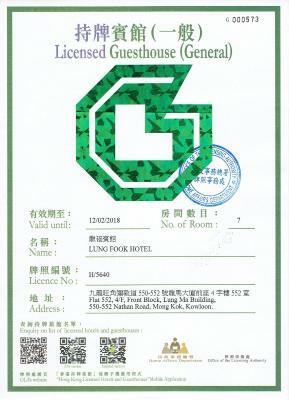 House Rules Lung Wa Hotel takes special requests – add in the next step! Please note that the front desk is available until 23:30 each day. 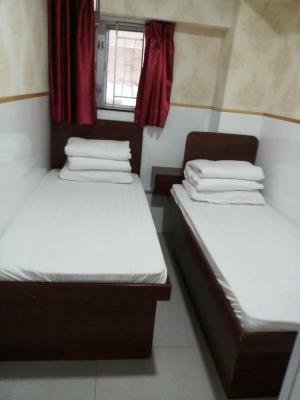 Excellent location super clean rooms. Size of the room. It’s a little too crowded specially if you’ll have large luggages. It’s location and value for money. 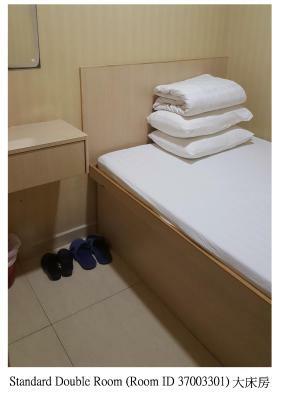 The staff are friendly and the room is so clean. Very small. No storage for suitcases under bed. We could only open one suitcase at a time unless one was on the floor and the other on the bed, leaving just enough room for one person to dress at a time. We adapted and this was a good exercise for us. 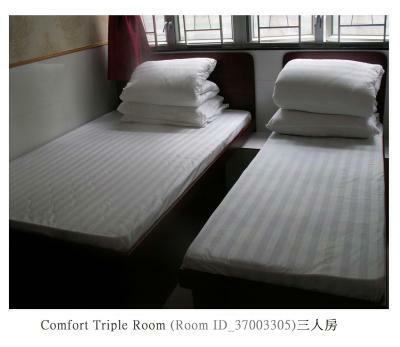 The mattress is pieced together to make a larger one, and is firm as all mattresses in Hong Kong seemed to be (we stayed in two other hotels of varying price and those beds were the same firmness). 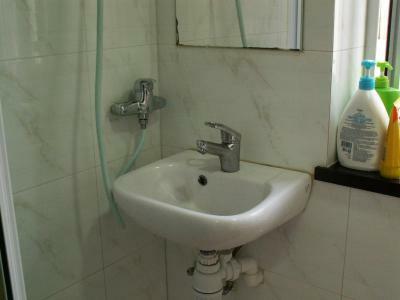 Only one person in the washroom at a time and you have to bend sideways to spit in the sink because it is quite narrow. The sink and toilet both leaked a little . We went to Lung Wa as addressed but we were led to another building around the block. Still very close to the train station. She shouted at us since we could not understand what she was talking about. Our friend interpreted that she was saying we were slow in showing our passport when she asked. She was speaking Chinese of course and we did not understand a word. She also came from the other door of the same level but Lung Wa was posted on another door. So we were really confised. The room was small. The smell of cigarette was consistent. 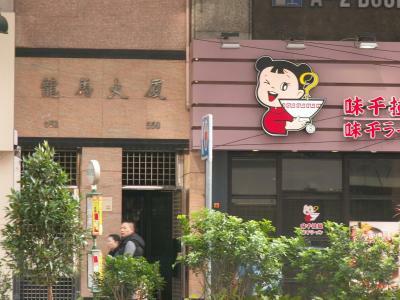 If you do not like the smell of stinky tofu, dont even dare stay there. Will never be back. Will never recommend. But the lady who was in charge of the other building where we actually stayed was the kindest. She assisted us the best way she could even if we could not understand each other. She was mild mannered and so motherly. God bless you achi. 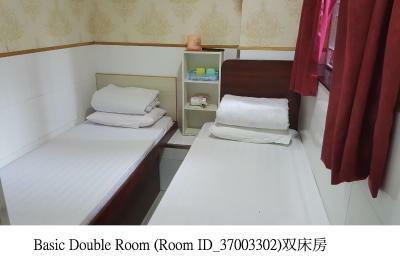 The room size is narrow and number of power socket not enough. The main gate door have problem to open it after lock on night time. The Building lift is very narrow enough for take 4-5 person only. We got shifted from room to room. We didnt get the room we paid for. Couldnt fix any problems because they dont speak any English. Tv didnt work. Owner wondered into rooms without guests permission. The shower was over the toilet. False advertising on the rooms and the size. Only stayed 1 out of 4 paid nights because the whole experience was not right. Had to go pay a fortune to stay elsewear because my partner 6 foot 6 couldnt even lay down in the bed and pretty much slept on a king single with me. Really wanted to speak to the owner about the issues we had with the apartment but they didnt understand a single word we said so we wasted $450 and didnt get a refund. The location is amazing but everything else was horrible and I would really appreciate a refund. The shower is super powerful but unfortunately hot water last less than a few minutes each go. Air conditioning. Very loud ticking noise that intermittently came on (even when A/C was off) all throughout the night. I don’t think I had a full nights sleep even with ear plugs. 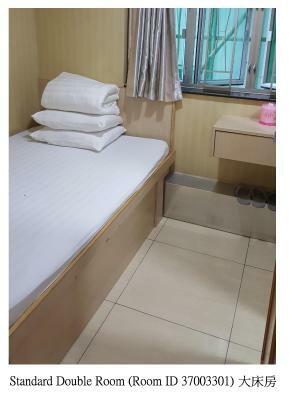 Room did not match the picture of booking.com advertisement ! Complained to the host and she only smile with the reply nothing to say. ! Therefore not worth for the money we paid . 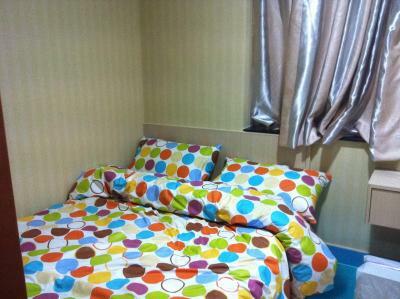 Plus the room very very very small... couldn’t even move around .. Nothing really, considering its price. Location is the best atribute! Very close to metro station (2 minutes walking). In the heart of one of the main streets. The room is tiny as usual in Hong Kong. Is expensive but again, as all the others locally. The owners are nice people and the room was cleaned everyday. One of the doormen at this building was very rude. Regarding the entrance of the building, the doors are made of heavy glasses. So to prevent the doors from slamming the walls outside they have put the wooden boxes on both sides, outside. That really was very dangerous that they want the wooden boxes to be so close to the door that marks the spot have a very narrow angle when you can open by pullind one side of the door, just for one single person to pass To enter the building, we need to pull the door with power which is quite heavy, well. It was too heavy for me and to open the door wide enough to put the travel luggage inside, so I just remove the boxes a little bit future down to get the wide angle, I didn't put or move the box away from the position that prevented the doors from slamming the wall. The doorman was shouting very hard. Like I did caused any damage. And keep shouting to my face, "Go Out" many times. Which was very rude. I went up right to inform the staff at the check in lobby. The girl was asking me, "when will you check out?" That was very ridiculous. The location is the best. 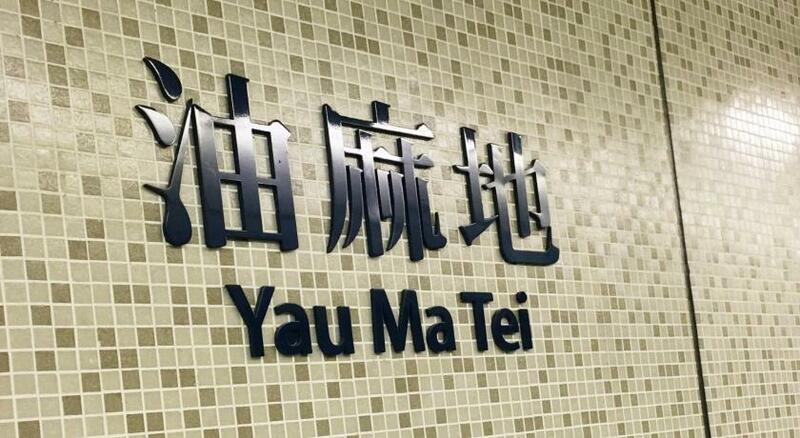 You step out directly on to Nathan Road and not more than a minute walk to Yau Mat Tei Metro station Exit/Entrance A2. 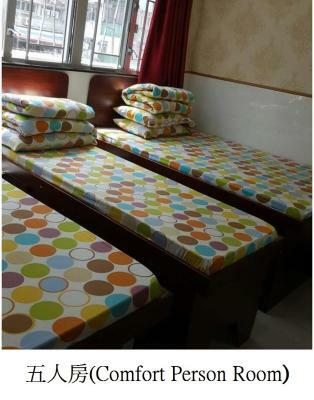 I had a one doubles bed room and yes it is small as many others have mentioned, but was super functional. 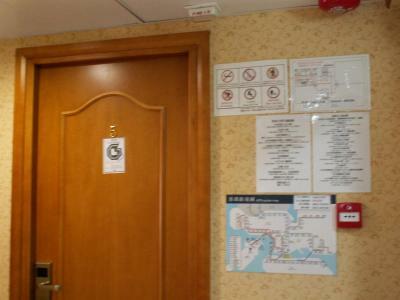 The toilet/bathroom combo was also fine, the ceiling wasnt low, compared to other places i've been in hong kong.